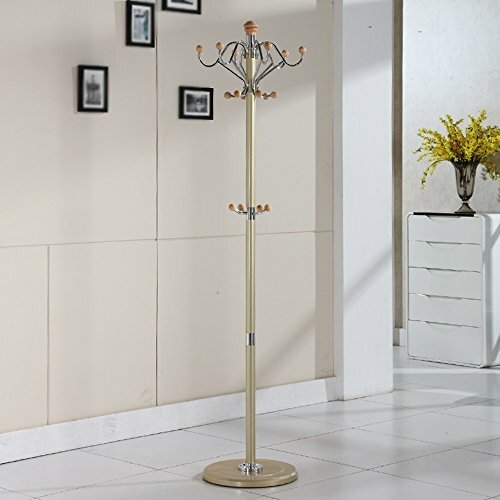 ★ This product only includes clothes hat rack, no other decoration. ★ manual measurement, the product size may be 1-3 cm error. ★ As the spotlight is not the same, the screen color is different, is a normal phenomenon. ★ delivery time is generally 10-15 days, 30 days did not receive your purchase of products, please contact us promptly. ★ ★ If you have any questions, please feel free to contact us. 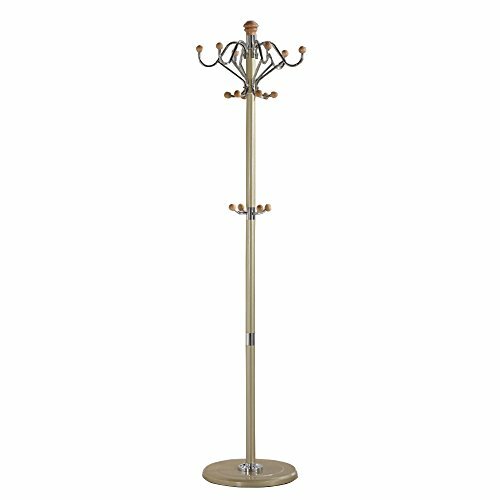 ★ top hook can be rotated 360 degrees, user-friendly design, easy to take clothing, there are 12 hooks, the middle of the four hooks, the use of space enough, no more clothing is not afraid, linked to stainless steel to build, durable! 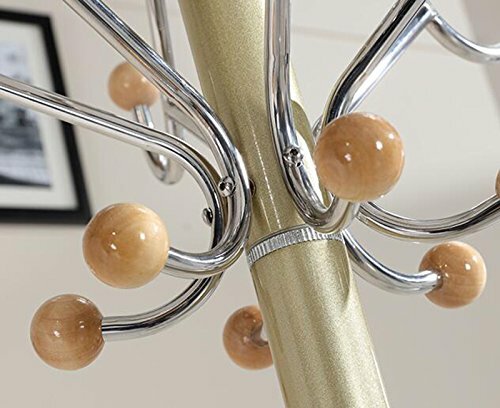 ★ natural solid wood ball, made of high-quality beech wood, lines clear, uniform color, natural environmental health and comfort, hanging the ball with a screw connection fixed, solid and stable connection, hanging clothes do not have to worry about falling off. ★ hook made of 304 stainless steel, load-bearing capacity, durable, no rust, the middle with four stainless steel straight hook, so that clothing can be layered hanging, the rational use of space, the middle hook height is moderate, easy to use children , While training children can be a good habit, you can place bags, umbrellas and so on items. 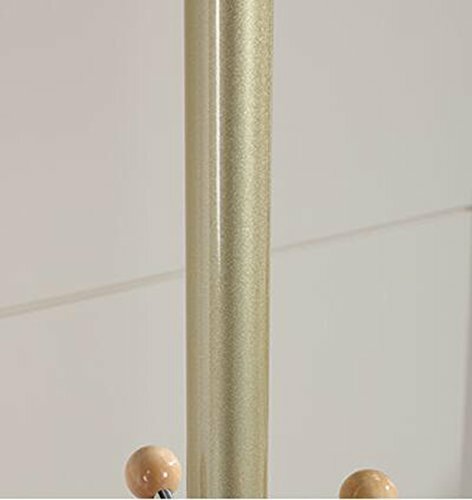 ★ the main rod for the carbon steel material, carbon steel has a good anti-rust anti-corrosion performance, good strength and not easy to deformation, and then after electrophoresis, color bright, feel good, easy to paint, the surface paint with piano paint, health and environmental protection , No pollution, will not cause harm to the human body. ★ chassis is plastic to increase the chassis, injection molding, full weight, the center is stable, will not tilt, the outside is made of iron paint, long-term use, not rust, chassis area is relatively large, up to 40cm, with the ground contact area , Force even more stable. 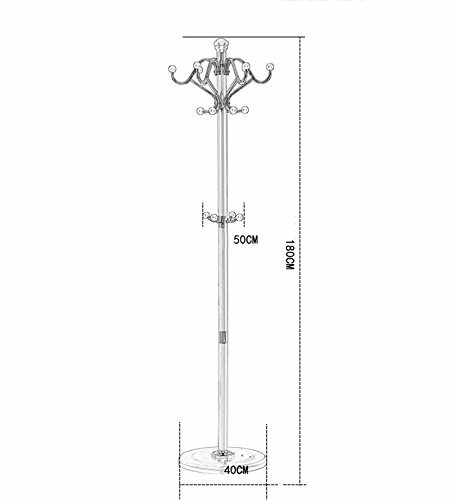 If you have any questions about this product by Clothes hat shelf, contact us by completing and submitting the form below. If you are looking for a specif part number, please include it with your message.